Twin Falls, Idaho, in the south-central portion of the Gem state, offers plenty of picturesque outdoor activities throughout the year. The city even took its name from two waterfalls in the Snake River Canyon. However, a dam was eventually constructed to generate hydroelectricity, which diverted water away from the second waterfall. There are still several other amazing places to visit in this area appropriately dubbed as the Magic Valley. 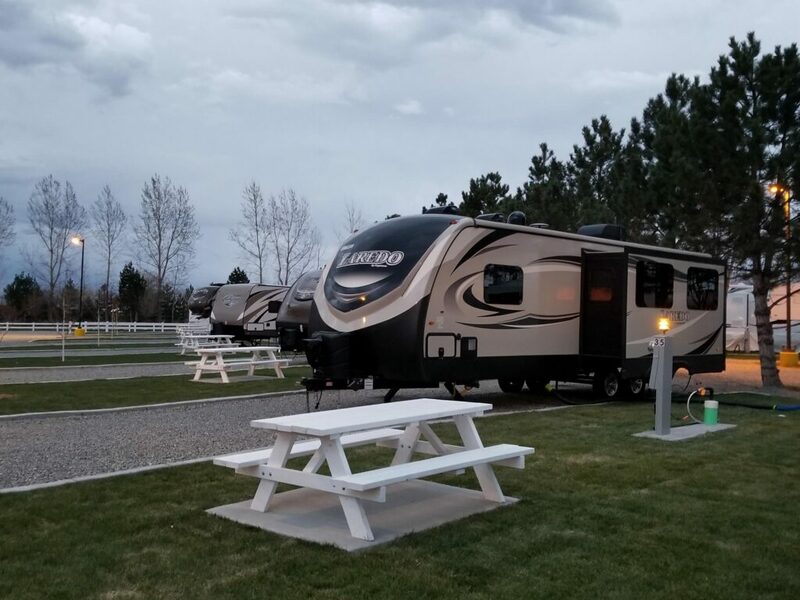 A comfortable place to stay while visiting the area is Twin Falls 93 RV Park. Open year-round, this pet-friendly resort offers 73 sites in a serene country setting. Amenities include 80-foot long sites to accommodate any big rig, 20/30/50 amp hookups at all sites, free Wi-Fi for browsing and checking your e-mail, along with premium Wi-Fi for streaming on multiple devices. Twin Falls 93 RV Park also offers showers, restrooms, and laundry facilities. Golfers can tee it up at nearby Twin Falls Golf Club. The par 68 is not a long course, measuring just 5,505 yards from the longest tees. The course is deceptively tough and will challenge the best short games. The variety of holes and scenic setting make for a great round of golf. The greater Twin Falls area features spectacular scenery, and another waterfall worth a visit. Shoshone Falls is a natural wonder on the Snake River that drops 212 feet—that’s roughly 50 feet farther than Niagara Falls! It’s best observed in the spring when the water flows are high. 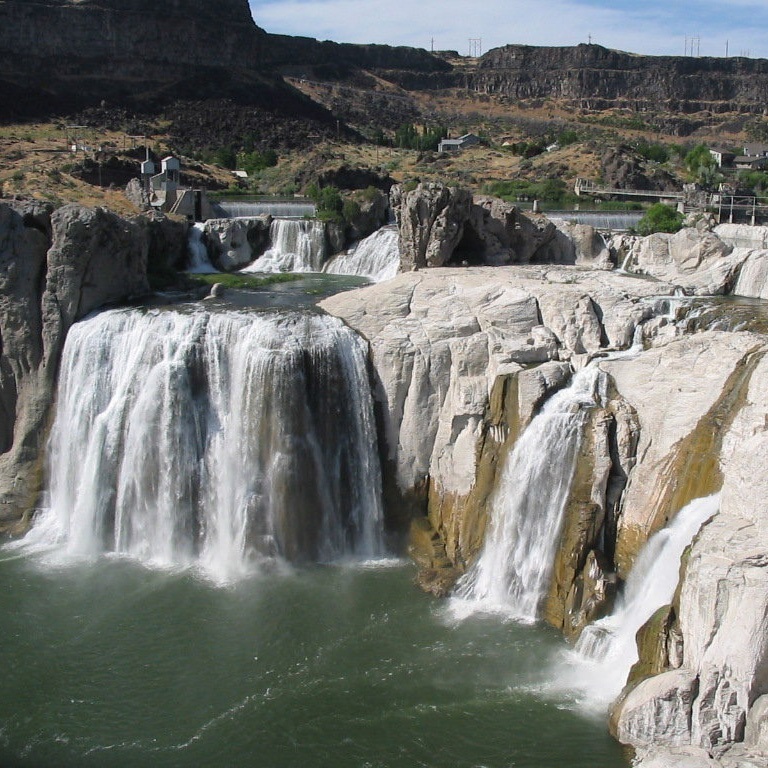 While visiting Shoshone Falls, you’ll also find playgrounds, hiking trails, picnic areas, a boat ramp, a swimming area, and a scenic overlook. Located nearly 500 feet above the Snake River, the Perrine Bridge in Twin Falls is a must-visit. This 92-year-old structure stretches to 1,500 feet in length and is a four-lane portion of U.S. Hwy. 93. For more information on the Twin Falls area, check out the Twin Falls Visitor Center. You can also learn more about Twin Falls 93 RV Park on Campground Reviews. My family and I only live about 35 miles south east of Twin Falls. 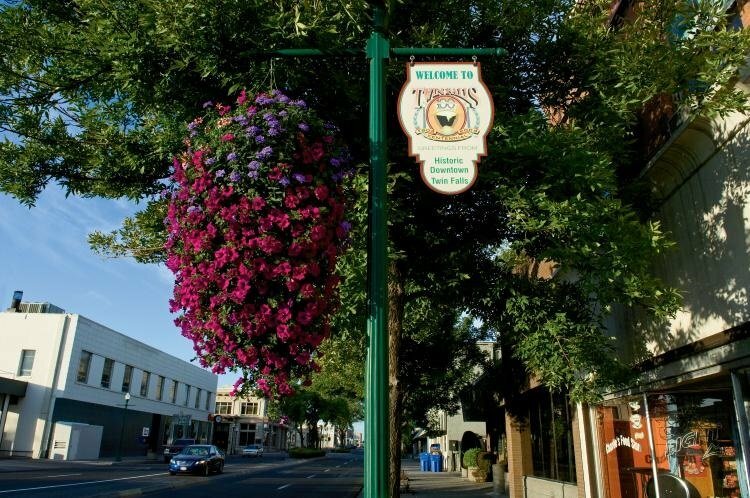 Our town is a one horse town, but it is an old historical town as well (at one time there was over 10,000 people living in it as it was an old mining town but unfortunately a fire in the early 1900’s destroyed most of it but it is still worth a visit), However, I want to say that there is a whole lot more to see and visit in, and around the greater “Magic Valley” area (all within an hour or less of driving time, or even a couple of hours drive time, or less), both adventure-wise, such as: hiking, fishing, boating, and other water recreation activities, camping, BLM land Boon-Docking, state parks, ski resorts, gambling casino’s, as well as historical sites, such as the old World War II Japanese internment camps, the Thousand Springs Recreation area, the old Fossil beds, the City of Rocks, ruts of the “Old Oregon Trail”, the Old Oregon Trail’s “Three Island Crossing site, the old “Rock Creek Stage Station”, the old Haunted School House which was filmed and air on TV by the “Ghost Adventures” crew, the mammoth cave, along with the other cave, the Lava Beds National Park area, the first city in Idaho to be lit up by atomic energy produced electricity, all of the different historical sites and museums in the different towns or our different local communities, the sight where a World War II Bomber crashed, The old historical Early American theaters in the different towns, etc.., etc., etc.. Plus a whole lot more, and also a lot more RV camping & parking sites than what little this RV news article contains. This area deserves, and is worth at least a 3 or 4 day (or more), stop over and visit – But the unfortunate fact is that very few RV websites and news articles even attempt to cover a small fraction of these. Let alone the tourists even stopping by for a visit (except for over-night), or passing the word along.. It’s like they all totally ignore our little area of fun, sight-seeing, and recreation. Let’s just say that the city of Twin Falls (along with all of it’s out-lying towns), are all like the “Hub of a Wheel” for exploring the many different sites and fun activities in the area.